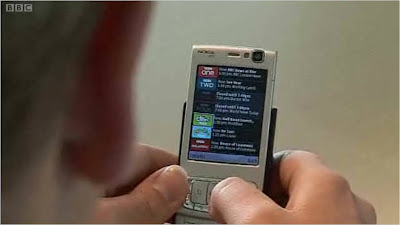 Nokia N95 - BBC TV and iPlayer now available! The BBC don't allow embedding of video (please change this BBC) so if you want to see the overview announcement you'll have to click here for the video. Widespread unlimited data tariffs, coupled with the penetration of the N95, mean that this has the potential to revolutionise the mobile TV market, however the impact could be felt more widely and the people who should be most concerned are newspapers. The print vs web battle has been challenging, but how do you even start to address a value proposition for print vs live TV news, free on your mobile? wow This iplayer facility is the great one.i like it very much.I got the unlocking information for this nokia phone in the site mobilesolutions.But from this article I got the newinformation about this nokia n95.Thanks for the information. The design is mind-blowing. It is very light in weight. You will be amazed by the amazing touch screen. The video quality is just average. The music player is one best thing, sound quality is very satisfying.I am using Nokia NK702 & it was unlocked as free from unlockfree.